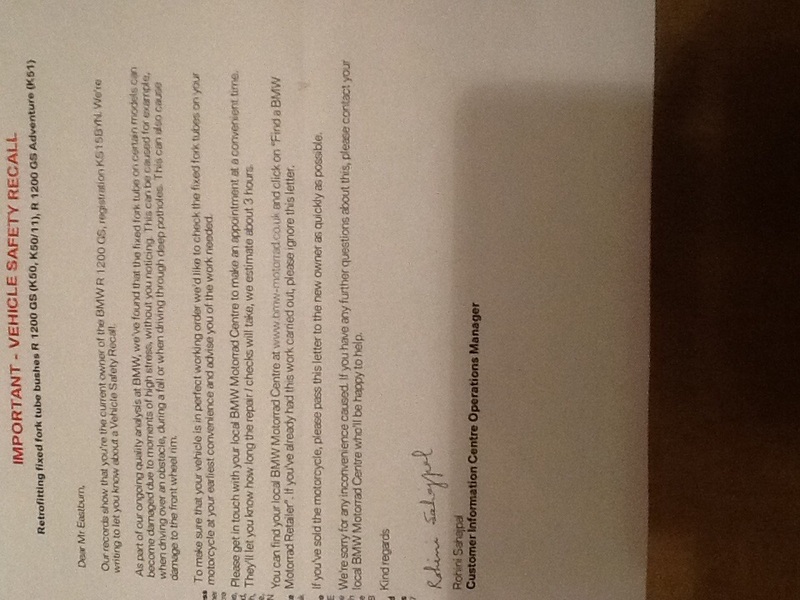 Just a comment that I received a safety recall letter from BMW UK last week asking me to ring my local dealer to arrange a check and change of fork bushes. First answer from the dealer was that they do not have the parts to be able to perform the recall work. What a complete shambles! My dealer has taken my name and will phone me when the parts are available. Not the dealers fault at all. Total incompetence by BMW UK.